Develop your understanding of the figure and portrait. 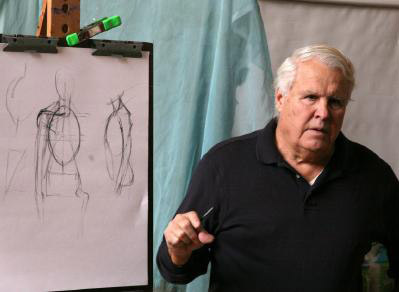 Emphasis on drawing the structure of the head and figure with intensive individual attention. The setting up of the portrait will be explained including choosing the best lighting and pose, understanding the figure in space and getting the spirit of the person. You will learn how to successfully complete a portrait. Cedric Egeli, one of the nation’s foremost portrait paint­ers, is a member of one of the country’s preeminent fami­lies of artists. Egeli’s father was the renowned portraitist Bjorn Egeli, founder of the Maryland Society of Portrait Painters. Cedric Egeli studied at the Art Students League of New York and with Henry Hensche at the Cape Cod School of Art in Massachusetts. Portraits by Cedric Egeli are included in the collections of the Pentagon, Duke and Brandeis Universities, Mount Sinai and Johns Hopkins Hospitals. Recently, Christie’s evaluated Egeli’s work as among the most valuable in the prestigious collection of contempo­rary portraits at the Johns Hopkins Hospital and Medical School in Baltimore. Egeli is widely acclaimed as both artist and teacher. He is an Exceptional Member of the American Portrait Society. His work was awarded the Grand Prize Medal (Best of Show) in the national portrait art competition conducted in 1979 by the National Por­trait Seminar in New York. Subsequently, he has served as a faculty member of the National Portrait Seminar, as well as at the Maryland Hall for Creative Arts. 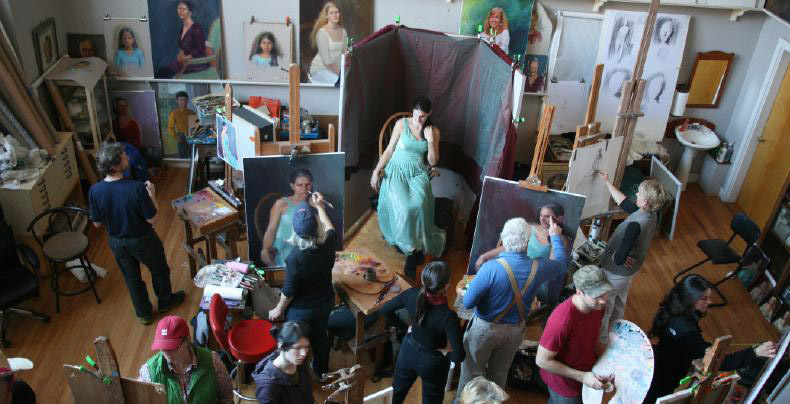 In addi­tion, Egeli conducts popular workshops on his extensive Maryland estate and on Cape Cod. For more information on Egeli, visit his website at www.egelistudio.com.